A business can’t survive without sales, but sales people are infamous for their reluctance to input data and submit forms. They just want to sell, sell, sell and have someone else track their activity and enter orders. At some point, the business needs to try and get them under control, so it invests in a CRM system. As businesses grow and evolve, they add software and systems to manage departments, automate processes and provide insights into operations. However, the end result is frequently a “hairball” of disparate systems. 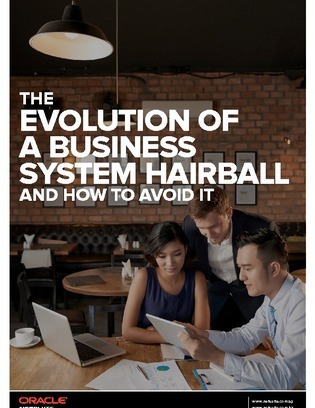 Inside, learn more about a good old fashioned business system hairball, going from zero to 20+ systems in just a few years. And how to avoid it.